Florence is very rich in old churches and many of them are free to enter (except Santa Maria Novella as I recently found out). These (used to) include the Basilica of Santa Maria Novella, one of the most beautiful churches in the city which houses works by Giotto, Masaccio and Ghirlandaio, now charging €5 to enter. Like Basilica di Santa Croce across town, at least they do not discriminate in their greed as Catholics are required to pay the same as everyone else to enter a Catholic church ... what a disgrace. Its famous pharmacy, founded by Dominican friars in 1221, is located around the corner from the square at Via della Scala 16. In their gardens they cultivated medicinal herbs that were used to prepare medications, balms and ointments for the small monastery. They follow the same formulas for preparation of spices, liquor, cosmetics and pharmaceuticals to this day. Built in the 15th Century, admission is free to Santa Maria del Fiore (the Cathedral or "Duomo"), Italy’s second largest church (after St. Peter's in Rome) and the third largest in the world (St. Paul's in London is the other). It is a UNESCO World Heritage site and is open from 10AM to 5PM Monday through Saturday and 1:30PM to 4:45PM on Sunday. The dome, bell tower, museum, archeological site, and baptistery all charge to enter or you can buy a consolidated ticket on their website. 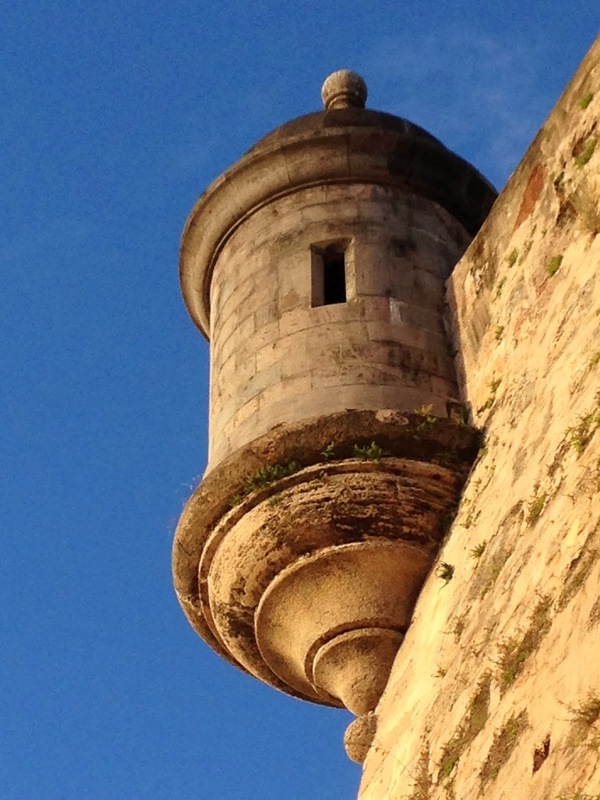 The Museo dell'Opera is closed until November 2015 for renovations. 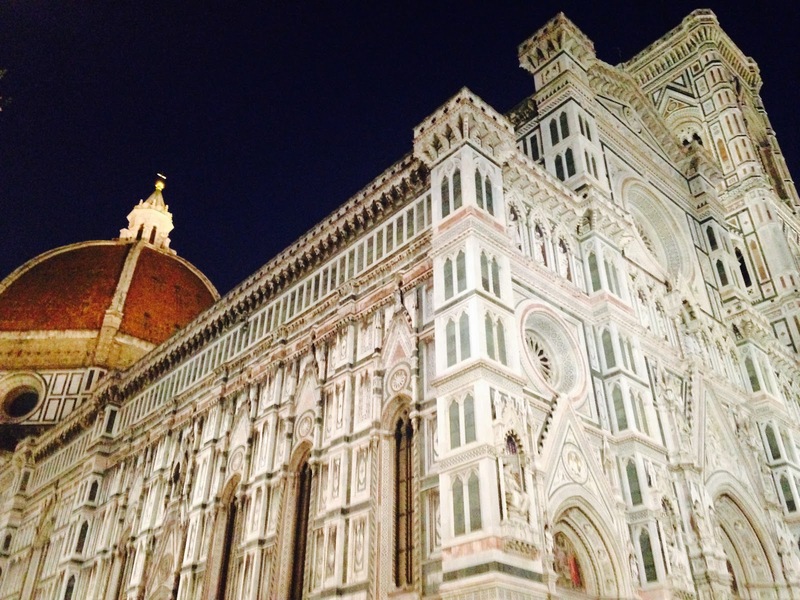 The facade and dome of Santa Maria del Fiore is imposing and awe-inspiring, dominating the large piazza in which it stands it is so large that it is impossible to photograph the entire structure without a special lens. 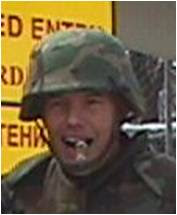 Its beautiful marble polychrome facade of greens, pinks, and whites is unlike any other I have seen. The interior is massive and spectacular, my favorite part being the massive dome completed in the 1460s with a fresco of the apostles who appear to be sitting on the edges with their legs dangling over the sides. This is one of the most impressive structures I have seen anywhere in the world and is a MUST SEE if visiting central Italy. Unlike the rest of the complex (dome, baptistery, vault, bell tower, and museum), you can enter the cathedral for free. Entry is through the north door of the massive west-facing facade and the line snakes along the routinely shaded (in summer) north wall of the cathedral, but it moves rather quickly. There are even free guided tours in several languages lasting around 30 minutes, so check at the desk on the left after you enter to inquire. Across from the Duomo entrance is the Baptistery of St. John. Until the 19th century, all Catholic Florentines were baptized here. The octagonal monument is distinguished by its geometric, colored-marble exterior and detailed interior mosaics. Admission is €5, but admiring the famous bronze doors (with replica panels) carved with scenes from the Bible is free. On the second floor of the famous Oblate Library and not far from the Duomo, their Cafeteria has been open to the public since May 2009 and has already become an important place of the city’s social and cultural life. The interior decoration is modern with every detail chosen carefully, allowing you to spend time at the library in a relaxed, safe and unique atmosphere. Almost every evening there is a themed musical event with free admission and optional drinks (unless you sit at a table of course). Just to the east of the historical center is the Santa Croce Neighborhood. Stop in Piazza Santa Croce, the neighborhood's lively main square, to admire the facade of the medieval Santa Croce Basilica, the largest Franciscan church in the world. Many famous Italians are entombed inside, including Michelangelo, Galileo, and Marconi, but entrance to the church costs €5 (Open Weekdays: 9.30 am - 5.30 pm). Near the church is the Leather School of Santa Croce, Scuola del Cuoio, where you can see artisans making leather products and a display of leather-working tools. Strozzi Palace is the perfect example of a Renaissance mansion, appearing like a fortress in the heart of the historic center of Florence. Every Thursday evening from 6PM to 10PM free entry is allowed to the "Strozzina" and its Exhibition of Contemporary Art in the palace's Center for Contemporary Culture. 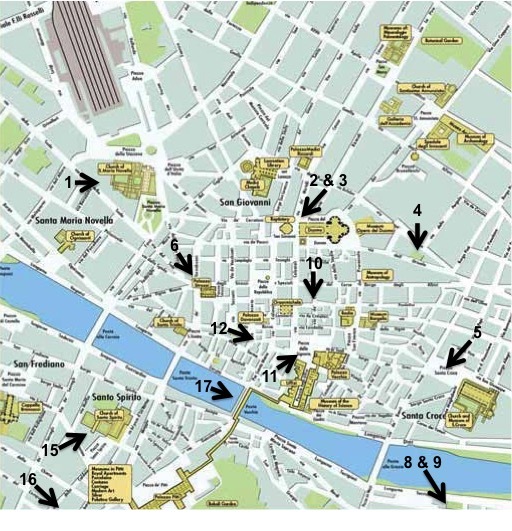 These tour are the original walking tours of Florence, they are FREE. Arranged by local professional guides working on a tip-only basis, your generosity will allow them to continue this service. 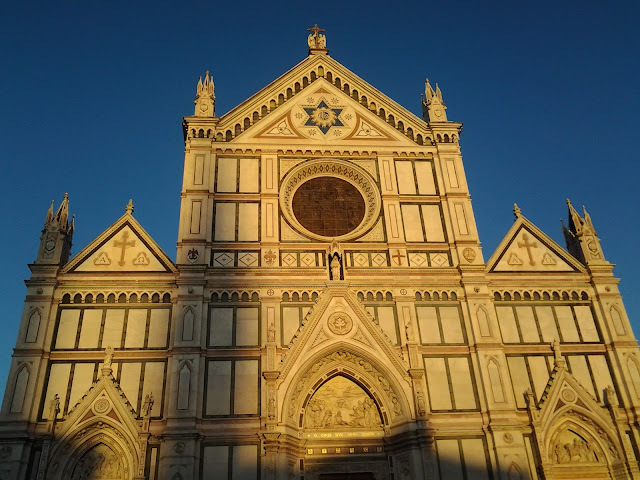 They offer two daily tours beginning at the Central Railway Station (Santa Maria Novella). 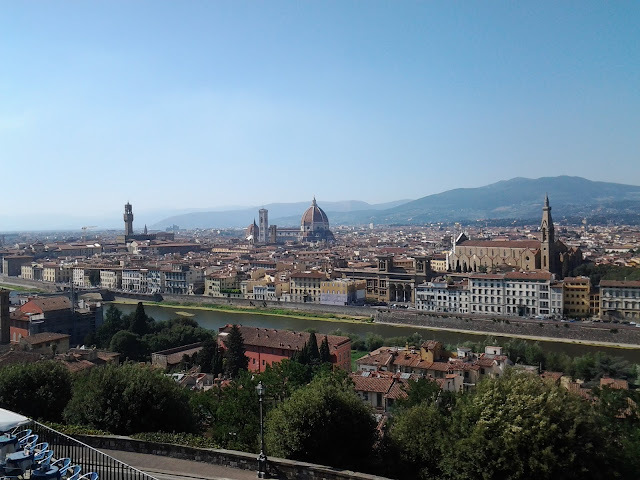 You will can choose between the Renaissance Tour (11AM), Medici Family Tour (2PM), or take both. Looking for the perfect photo opp while in Florence? Do not miss this large plaza located at the top of a hill above Piazza Poggi on the south side of the river Arno. The centerpiece of the piazzale is its terrace, the perfect place to spend some time taking in the beautiful city below. You can reach this lookout by bus if you are not up to the climb or, like me, have knees that have seen better days. Follow the main street from Piazzale Michelangelo to the steps of the Abbey San Miniato al Monte, one of the highest points in Florence. Michelozzo’s Cappella del Crocifisso (built in 1448) is the centerpiece of the Romanesque basilica and frescoes by Taddeo Gaddi decorate the crypt behind it. Wander the abbey’s cemetery where Carlo Collodi, author of Pinocchio, is buried and stay until sunset when the golden light reflects off the Arno and terra-cotta roofs of the majestic city below. Admission is free (open from 7AM to 1PM, 3:30PM to 7PM on weekdays in winter, and 7AM to sunset in summer). Masses are held throughout the day on Sunday and holidays; and the 10AM and 5:30PM masses are performed in Gregorian chant in the crypt, an incredible experience. 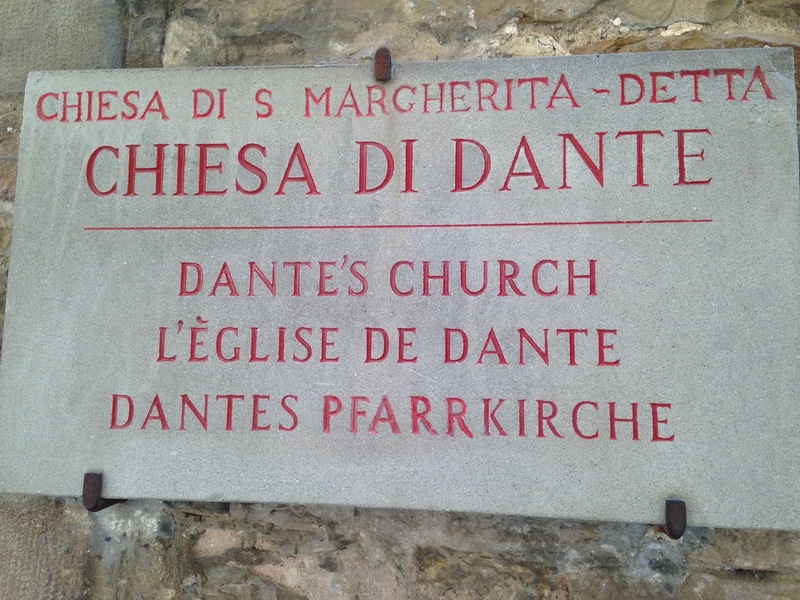 You must pay to enter Dante's house down the street, but entry to Santa Margherita dei Cerchi, dating back to 1032 and known primarily as the "Church of Dante", is free. It has been said that Dante met his muse, Beatrice, here for the first time and fell in love with her. 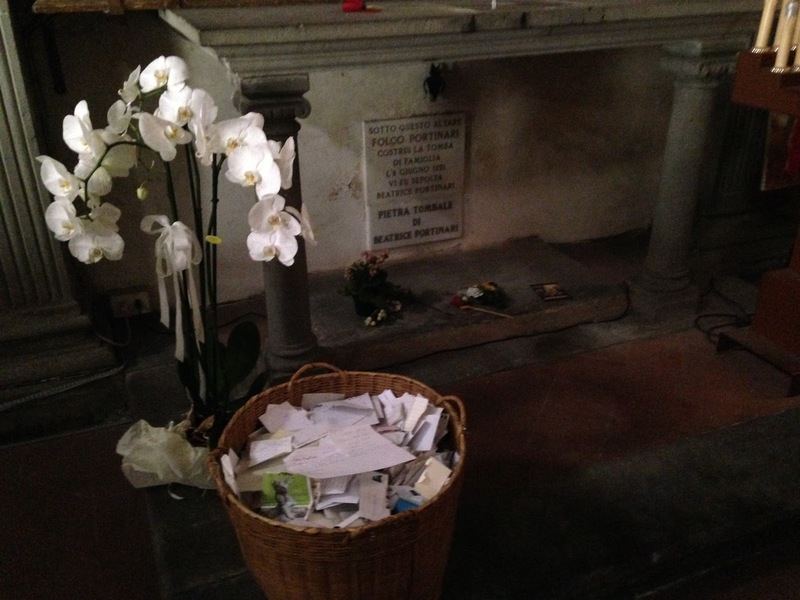 Beatrice’s family had tombs are there where her father, Folco Portinari, is buried. Many visitors like to think that Beatrice is buried in the church and in front of what tradition has identified as Beatrice’s tomb, you can find a chest full of messages lovers leave to Beatrice asking her to protect their love. Beatrice, however, was married to a member of the Bardi family and was likely buried in the tomb of her husband’s family in the cloister of Santa Croce Church. 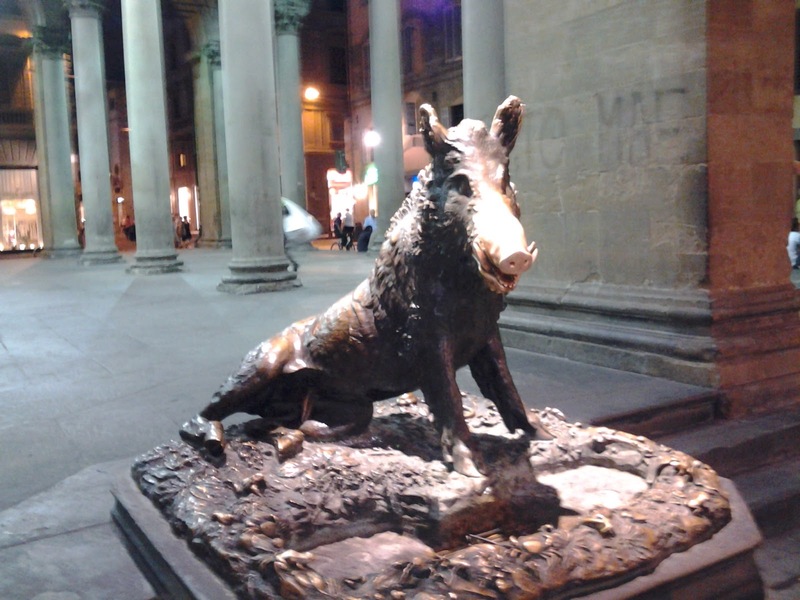 Florence's most famous square, Piazza della Signoria is the heart of the historic center and a free open-air sculpture exhibit. The imposing Loggia dei Lanza, also known as Loggia della Signoria, holds important statues, including those by Cellini, Giambologna and Fedi and a proportionally smaller copy of Michelangelo's David stands in front of the entrance to Palazzo Vecchio. 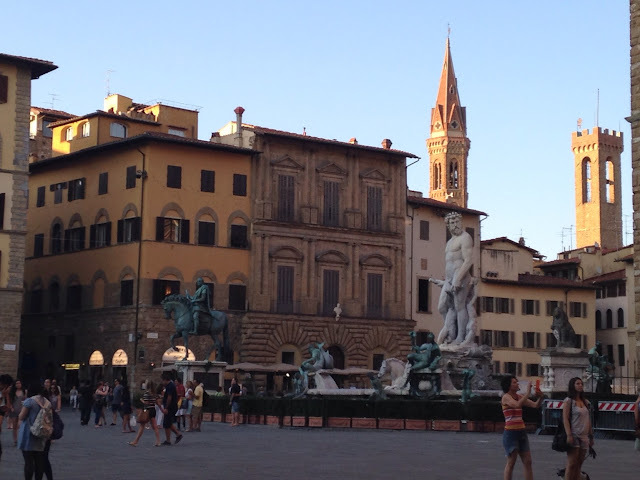 The piazza has been Florence's political center since the middle ages and Florence's town hall, the medieval Palazzo Vecchio, literally towers over the piazza. You'll also want to admire the beautiful fountain in the square or have a seat in front of or under the Loggia della Lanza to relax or watch the multitude of tourists wander past. Not far from the Piazza della Signoria you will find the new market or "Loggia del Porcellino", the name of the fountain portrayed by a wild boar sculpted in bronze and created in the 7th Century by "Pietro Tacca" (the original is kept in Palazzo Pitti). It would be worth your while to spend some time in the area as there is a tradition of placing a coin in the boars mouth. If it falls out and rolls over the water drain, you then rub its nose to bring good luck. Remember the coin must travel to the other side of the drain for it to work! At the centre of the loggia you can also see the "scandalous stone" (Pietra dello Scandalo), the place place where debtors would be punished in Renaissance Florence. The punishment consisted of chaining the prisoners and whipping their legs, repeatedly falling down onto their behinds. • SAN LORENZO MARKET: Extends from Piazza S. Lorenzo to Ariento Street around the Basilica of San Lorenzo (in the historic center of Florence). It is the most important market in the city and you will find clothing, leather goods, souvenirs, local food products and much more. It is a great place for a quick, inexpensive lunch to eat there or take withg you for a picnic elsewhere in town. It is open Monday to Friday from 7AM to 2PM and on Saturdays from 7:00 to 17:00 (except from mid-June to September when it is closed on Saturdays). • SANT’AMBROGIO MARKET: Near Piazza Ghiberti and Piazza Sant’Ambrogio, Mercato Sant'Ambrogio has outdoor spaces where you will find fresh fruit, vegetables, clothing, flowers, shoes and appliance stalls. If you are looking for food, enter the building where you will find meat or fresh fish, pasta, general groceries, cheeses, and bread. If you get hungry, there is also a restaurant inside the market with good, cheap meals. The market is open every day (except Sunday) from 7AM to 2PM. • MERCATO DELLE PULCI: The ‘flea market’ is located in Piazza dei Ciompi and is open daily from 9AM to 7:30PM. On the last Sunday of the month, the stalls are extended to the surrounding streets where you will find whatever you can imagine, including furniture, paintings, antiques, coins and jewelry. Maybe you will find a treasure among the many antiques! • MERCATO DELLE CASCINE: Is located in the beautiful Parco delle Cascine (the largest park in Florence). Open every Tuesday from 7AM to 2PM, it is probably the biggest and cheapest market in town where you can buy clothing, shoes, housewares and much more. 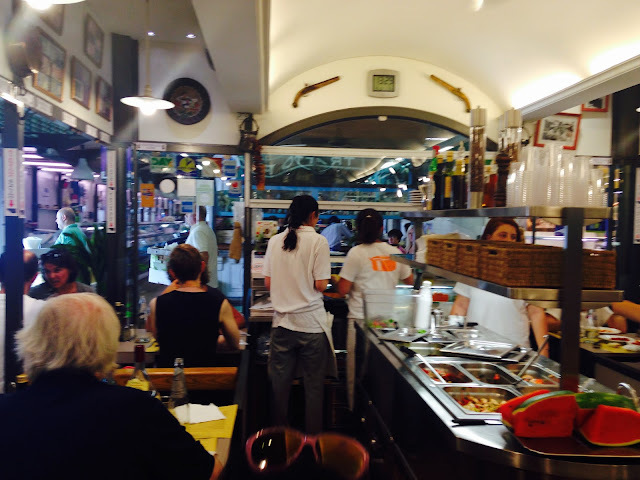 • THE CURE MARKET, In Piazza delle Cure, it is open every morning except Sunday and holidays. • THE FIERUCOLINA: “The Fierucolina” is an organic market that promotes organic farming and biodynamic agriculture with food, wine, and handmade bio-manufactured products. It takes place the third Sunday of each month (except in August) in Piazza Santo Spirito (Oltrarno). • THE MARKET OF RARE BOOKS: In Loggia del Grano, it is open Thursday to Saturday from 10AM to 6PM. • THE FLOWER MARKET: Under the porch of Piazza della Repubblica, every Thursday morning from 10 to 19.• THE PIGGY MARKET: Florentine straw objects, handmade embroidery, leather goods, wooden objects, and flowers in Piazza del Mercato Nuovo from 8AM to 7PM every day except Sunday and Monday morning. • THE STRAW MARKET: Piazza del Mercato Nuovo from 9AM to 6:30PM every day except Sunday and holidays. 14) THAT'S PRATO ... THE PRATO YOU DO NOT EXPECT! Across the piazza from chiesa Santa Maria Novella, a free bus will take from Florence's Santa Maria Novella train station to various itineraries in and around Prato, a town between Florence and Pistoia heading toward Lucca and Pisa. You pay only for the entrance to museums (if applicable) and your lunch. If you want to get away from the crowds, head across the river on Ponte Santa Trinita (west of Ponte Vecchio) or turn right after traversing Ponte Vecchio toward the area known as Oltrarno. Here you will find interesting neighborhoods that see far fewer tourists. It is a pleasant place for a walk where you will see typical Florentine buildings, small stores, artisan workshops, and small neighborhood squares. In Piazza Santa Spirito there is a small morning market and in the Santo Spirito Church, designed by Brunelleschi in the 15th century, you will find a wealth of art work. Santa Maria del Carmine Church has a beautiful Renaissance fresco in Cappella Brancacci (open 10AM–5PM, Sunday 1PM–5PM, closed Tuesdays). 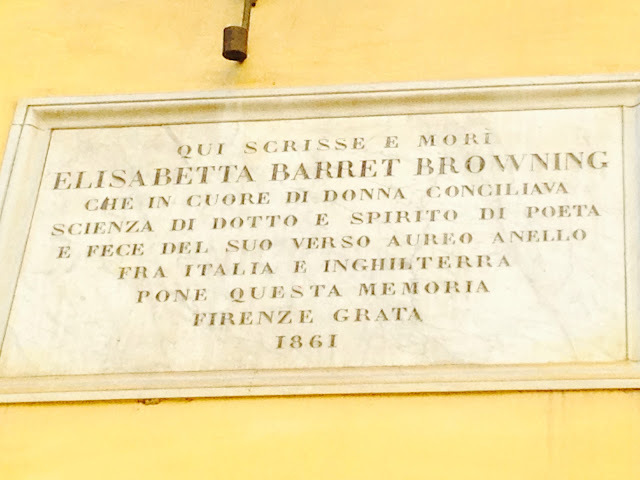 16) CASA GUIDI: ELIZABETH BARRETT BROWNING HOME. Just down the street from Palazzo Piti on the Altarno side of the river, Casa Guidi is located on the first floor (second floor to Americans) of a historic palazzo. There is an engraved stone marker above the massive door indicating where she lived and a brass nameplate above the buzzer outside with details about operating hours. There is also a single brass button below the rest that merely says "Elizabeth". The apartment consists of just three rooms that you can visit, but they are spectacular and contain furniture of hers and from the period as well as photos, paintings, busts, and other memorabilia. Her husband study is small, but has elaborate frescoes on the walls and ceilings. The dining room is large, but not extremely interesting. The living room, off of which are the bedrooms and kitchen (not open to the public, but apparently you can rent them for lodging). is massive and contains a large library of her works, more artwork, and some beautiful period furniture as well as some of her possessions. The visit is self-guided and FREE, but you must visit on Monday, Wednesday, or Friday (April to November) between 3PM and 6PM only. Just ring the buzzer for Casa Guidi, though the giant door and a gate, then go up one flight of stairs to her apartment on the left. Hand-crafted pasta since 1912, the owner Giuseppe has been in the family business since 1950, is extremely friendly and informative, and made us feel welcome for our free, private tour. During World War II, the Nazis took over the building, a villa, making it their headquarters in 1942. The family had to walk for two days to Florence while the Germans occupied their home. Once the Nazis fled from Allied Forces in December 1942, they returned home and were the first pastificio (pasta factory) of 36 in Pistoia to resume operations after the war. They are the only remaining pastificio of the original 36 in Pistoia. The valley in which the villa sits is quiet, green, lush, and much cooler than smoldering Florence, so it was a breath of fresh air, literally, after a month in 100 degree Florence and its wall-to-wall tourists. 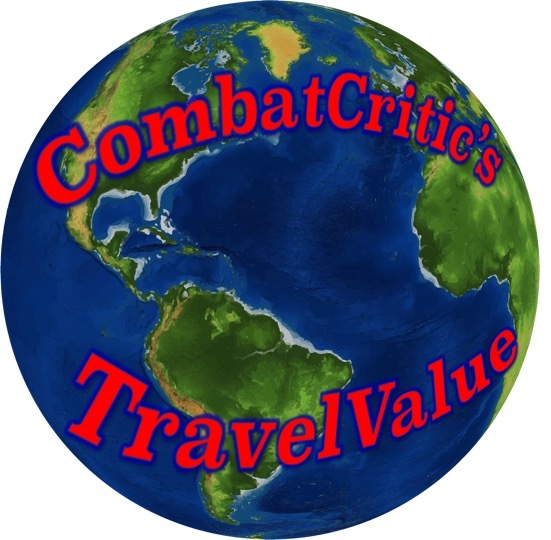 If visiting Tuscany and tell him CombatCritic sent you! 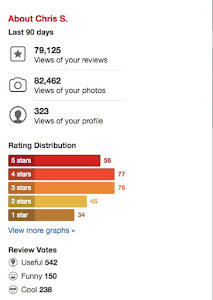 Read my full review now! 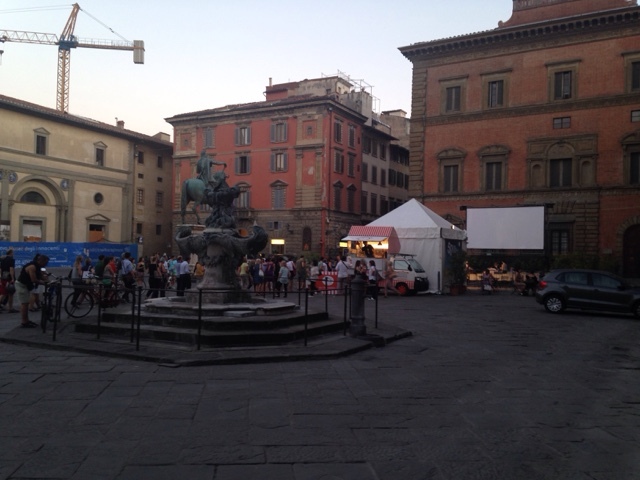 Free entry to the outdoor Apriti cinema, an international film festival, held from the end of June to late July, is located in Piazza Santissima Annunziata, just east of the Accademia Gallery and Piazza San Marco. Films are from all over the world and are in their native languages with Italian subtitles. Starting at 21:30 nightly, there are hamburgers (€5), french fries (€2.50), and artisan beers (€4) available for purchase when available. 20) IF YOU ARE LIKE ME, PEOPLE-WATCHING IS "THE BOMB"
The best free activity in Florence may very well be people-watching. 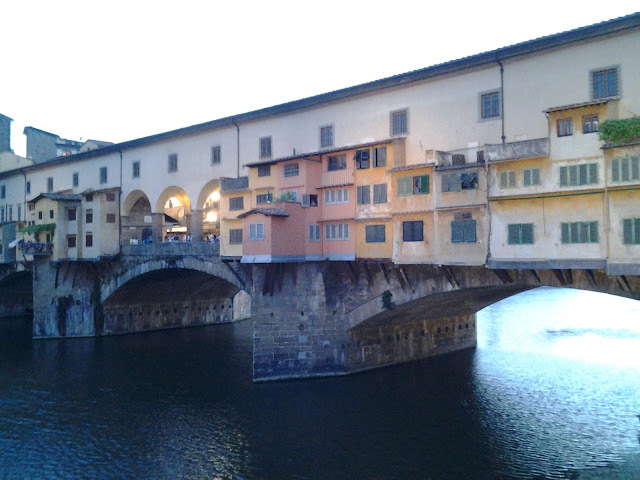 While you peruse the jewelry and souvenir shops on Ponte Vecchio (the medieval stone bridge over the Arno River), get off the beaten path and head to Oltrarno, the neighborhood on the far and less touristy side of the Arno. Get lost on the narrow cobblestone streets, wander in and out of artisan workshops, and rub shoulders with locals at the daily morning market (closed the second and third Sundays of the month, when artisan and antique markets are held) in Piazza Santo Spirito.